In the wake of nearly three decades of brutal civil war, the population of South Sudan lies shattered and strewn across the Central and East African landscape. 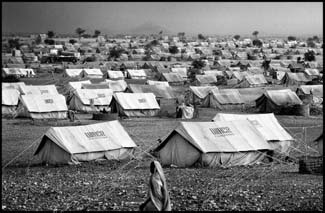 More than two and half million people have been killed and another five million have been internally and externally displaced by the conflict. As of July of 2011, South Sudan has achieved its independence, seceding from its oppressors and has become the newest nation on the planet. 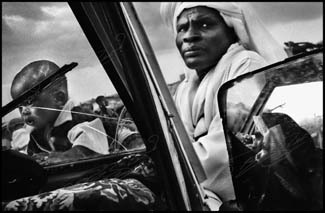 Since January of 2003, however, a new exodus flooded the western border region of Darfur in Sudan with displaced persons fleeing the same regime responsible for the southern tragedy. Despite the fact that the United States has formally labeled this diaspora genocide, the killing continues unchecked, threatening to shed blood on every grain of sand. In the words of former U.S. President Clinton, ?If the horrors of the Holocaust taught us anything, it is the high cost of remaining silent and paralyzed in the face of genocide.? Notwithstanding pleas from the victims and advocates around the world for cessation, systematic scorched earth campaigns continue in Sudan. 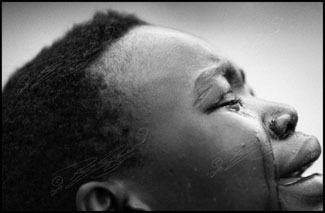 As a documentary photographer, I have covered displacement in the aftermath of this aggression wielded by the ruthless Sudanese Government. Their efforts are a bid to consolidate wealth and power in their region. I am now in the final stages of completing years of documentation ? a sustained effort to describe the legacy of two genocidal civil wars unfolding in modern-day Sudan. "The Cost of Silence? collates a large body of images in order to construct a narrative of one of the most critical social issues of our time ? genocide. Without the deafening context of culture and advertising too often present in magazine and television coverage of such issues, the images are given room to speak in a space designed to allow the viewer time to encounter the work unencumbered. With no headline ticker tape to distract its audience, a well-crafted photographic exhibition resonates with those who encounter it conveying and translating precious testimony in a way no other outlet can. Its presence will be the impetus for further conversation of the crisis in Sudan. "The Cost of Silence" will continue to foster momentum toward a permanent anti-genocide constituency by empowering individuals and communities with the tools to influence public opinion, corporate responsibility, and government policy on genocide. Work of this nature sheds light on global issues by capturing them on a human level in a way that simple statistics never can. The testimony must be seen. Ultimately, my goal is to raise the level of debate by offering a document which will give a human face to what was once unimaginable but nowadays shockingly familiar ? a genocide unfolding before the eyes of a global community unwilling to stop it. The cost of doing nothing is one humanity can never afford.